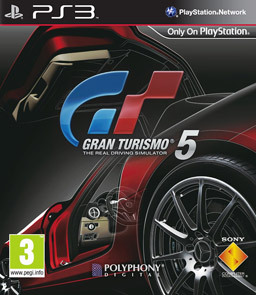 GT5 was highly anticipated for many years until its eventual release a few months ago. It’s not a game for everyone as a lot of gamers tend to either not enjoy or understand realistic racing simulations. Burnout this is most definitely not. I’m a huge Burnout fan too but this is a very different game, but we all know that. This game, like the previous ones in the series demands absolute precision and rewards skill and practice. The 200 or so premium cars are things to behold. Stunningly detailed, with interior views that really make you feel like you’re driving the car. They even simulate the G-Forces and car shaking in this view. Sometimes it can be too intense to look at, especially on the oval tracks. It brings home to you the kind of punishment these professional drivers put themselves through. Because I’m not a big fan of the other camera views the 800 standard cars, all without the cockpit view and in lower resolutions are almost worthless to me. They look awful most of the time and aren’t as fun to drive. It’s a real shame, especially as there are some great cars that are only available in standard versions, such as the Bugatti Veyron. 1000 cars is a great thing to be able to say in advertising, but in practise it’s a let down. With this said, 200 cars is still more than almost any other video-game. I believe Forza 3 has approximately 500 in the special edition of that game. I wish Polyphony had cut the number of cars in half to that same number if they could have made them all premium quality. Cars are nothing without tracks, and there is a great diverse collection of tracks in the game. From randomly generated Rally Stages to American Ovals, Le Mans and Suzuka, there’s something for every type of racing fan. There are even a selection of imaginary city tracks based on what could be possible if street races were held in those venues. As usual in Gran Turismo games, there are also some imaginary tracks designed to test driving skill to the maximum. These tracks are okay but they aren’t the best looking and sometimes the layouts aren’t entirely to my liking, but it’s a personal taste issue. As far as gameplay, the cars handle brilliantly. They all handle slightly differently and you can feel this different when you race. Set-up changes, including tyre choice can make huge differences as well. Using the wrong tyre compound can cost you dearly, especially in b-spec races where the drivers can’t handle the cars and spin out. Reviewers have been critical of GT5 as an actual game rather than a pure simulator, by saying that it’s essentially a 10 out of 10 simulator, wrapped up in a 5/10 game. It is true that some elements of the game are not entirely imaginative, and they could have made the interface a bit better, but it’s by no means broken and in my opinion I think those reviewers are being too picky. If you’re a fan of simulation racing, you will know exactly what you’re getting yourself into with GT5, and despite it’s few shortcomings, this is a very fine game that you’ll undoubtedly love. I’ve spent a lot of time with it since it came out and I still don’t feel finished. I’ve got almost all the cars in the game I could wish for. I’ve driven every track many times and got about as far as I can with the special events as well as the regular A-Spec and B-Spec modes. Why then would I want to continue further? Well, in a recent update, Polyphony added a new mode called Seasonal Events. This mode is updated every week with 5 new special event races for particular cars, as well as time trial and drift trial challenges with online leaderboards. It adds a lot of replay value to the game by making you interested in buying, tuning and racing cars you may have otherwise have overlooked. The rewards for these races far outweigh the cost of buying and tuning the cars. They also offer great XP to allow players to level up to the max of 40 a bit more easily by reducing the amount of grinding you’ll have to do. I assume that they’ll be doing these special events with almost all, if not all of the premium cars over time, so the game could continue to provide new reasons to play for many months to come. Not only this, but Polyphony have stated that they plan to upgrade some standard cars to premium ones in future updates, as well as enable their online remote-racing service which you can use in a web-browser to play B-Spec races remotely. Your PS3 does have to be running and playing the game, but it’s still a nice and unique concept. Just to mention some other small issues with the game, I feel that the online racing is below par and it’s disappointingly clunky to use. So much so that I don’t really want to bother with it until they patch it to make it much more streamlined and faster loading. Then again, most people, myself included will never race online and still play the game for months consistently and have a great time, so it won’t be a big deal for many people. I can’t wait to see what else Kazinori and Polyphony have up their sleeves for us in future updates. In the meantime, if you don’t own this game, or even don’t own a PS3, you should pick this this game up if you think it’s your type of thing. I would also suggest buying an HD TV as well, since this game really gets the most out of it. In general, it’s a brilliant driving game that just about met incredibly lofty expectations and you shouldn’t miss it.